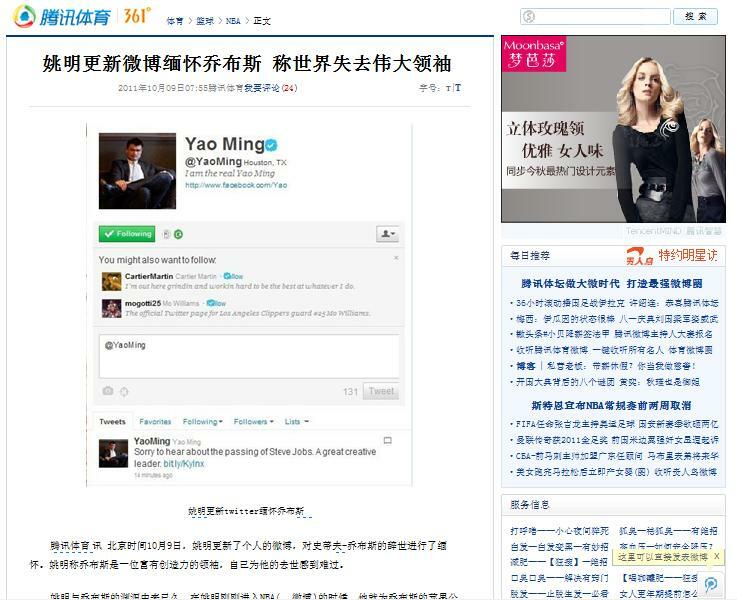 While there were over 63 million tribute messages been published on China’s Twitter-like, government-controlled, micro-blogging site Weibo within a day of the Apple CEO’s death, perhaps there was not a single one of those messages caught as much attention as the Twitter tribute sent by Yao Ming. 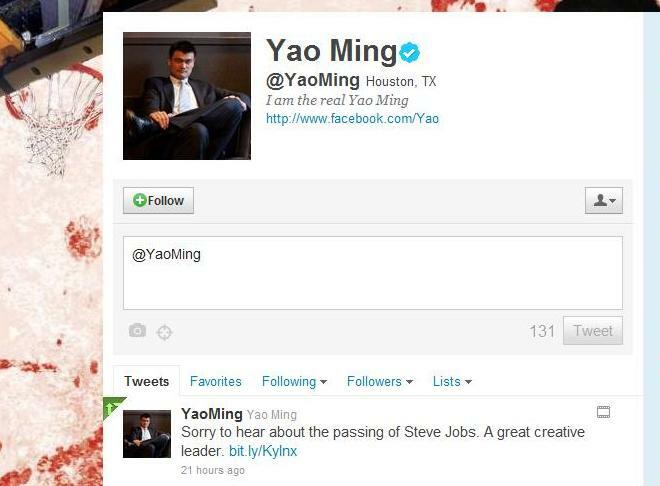 On Oct. 9, Yao Ming wrote on his Twitter “Sorry to hear about the passing of Steve Jobs. A great creative leader.” and attached a video link of his Apple ad. 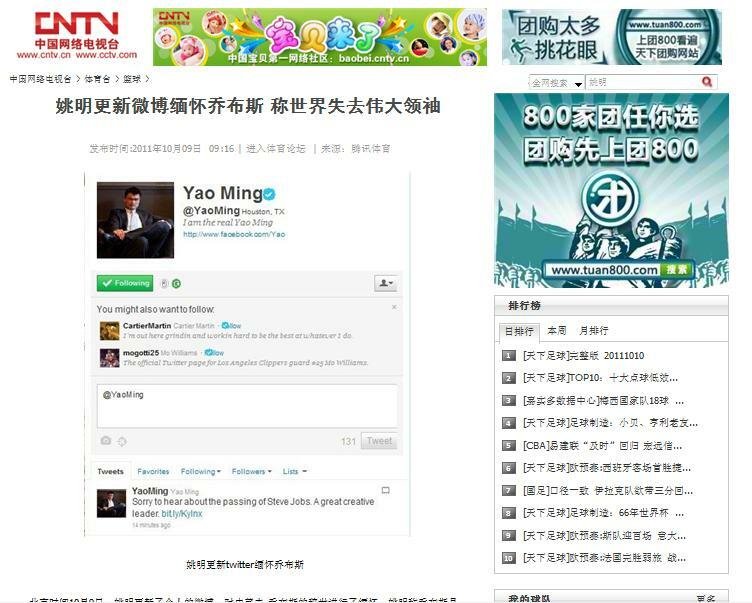 Although Twitter is officially blocked in China, Yao’s tweet immediately caught the Chinese national media attention. 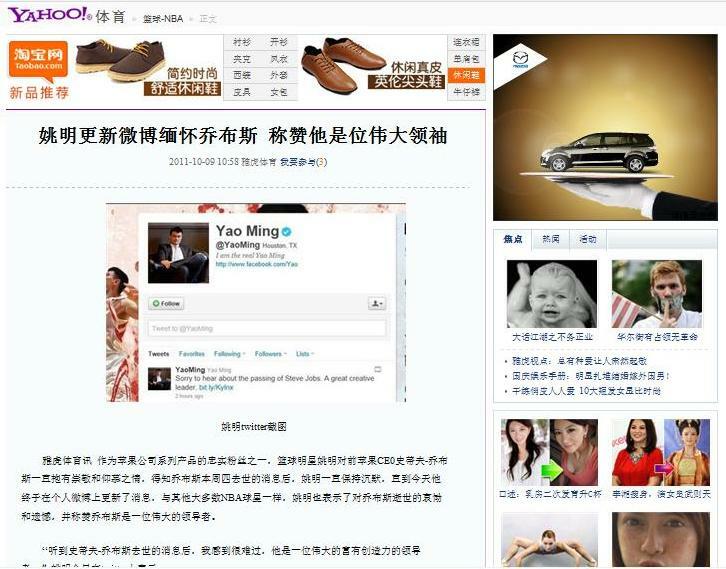 Within only a few hours, Yao’s tweet on Steve Job’s passing became one of the top news on the sports section of almost all the top Chinese websites.